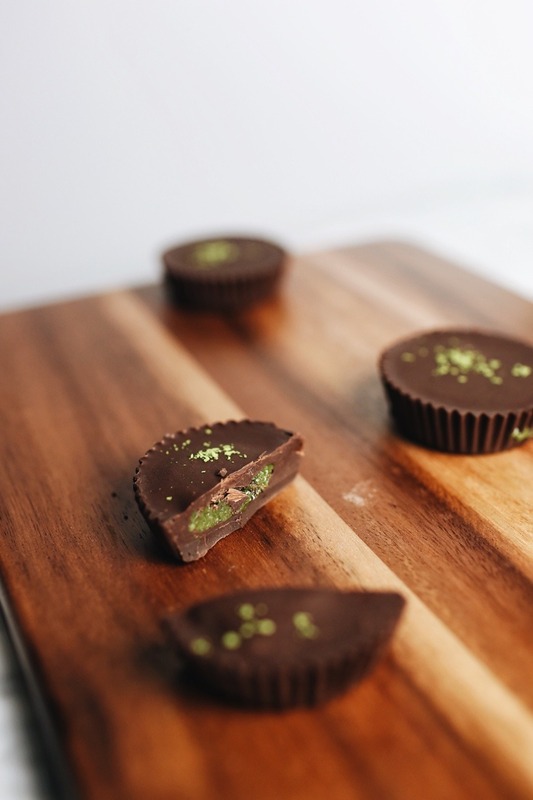 Matcha Butter Cups — amanda gunawan. I’ve been cooking a lot lately. Cooking has been an outlet for me- It’s something that allows me to channel my creativity outside of Architecture. It is also a skill in which I feel I lack but need. I cannot fully call myself a foodie just because of my love for eating. My love for food must encompass an understanding of how every dish is made and prepared. You start to appreciate things more once you figure out the craft (or lack thereof in some cases) behind it. I buy peanut butter cups by the bulk and there was a period when I couldn’t go a day without craving it. I decided one fine day (or rather, today) to learn how to make some myself and altered the recipe a little and incorporated two of my favourite things: chocolate and matcha. If you’re at all interested in the recipe, message me on Instagram @amandagnwn because I very loosely did this and a lot of it was based on gut. I can try my best to retrace the quantities that I used but I’m really going to have to try. I’m going to end this post with itadakimasu いただきます- a Japanese phrase that’s repeated before every meal. It is commonly mistaken for let’s eat, but has a meaning far more poignant than that. The phrase thanks all who have sacrificed for the food that is served. The animals, the plants, the farmers, the hands who’ve prepared them and so on and so forth. It’s beautiful, really. And something that is often forgotten when an empty stomach meets a tempting plate of food.